Do you have a low budget to buy a smartphone? Its ok, everyone can’t afford a high-range smartphone. Don’t worry Honor has brought something for you. Honor has launched its low budget smartphone named Honor 7S in India. 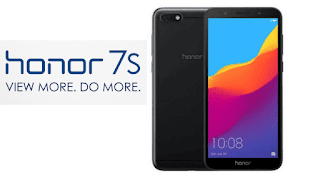 A few months back, Huawei’s Honor has launched two new budget smartphones named Honor 7A and Honor 7C under the range Rs 10,000. Honor has also released a flagship level smartphone named Honor Play. It is one of the best gaming phone in the mid-range. The cool part was both the devices came with 18:9 Full View display. The phones also have dual rear cameras. By continuing the street the company has launched a new entry-level smartphone called Honor 7S in Indian. If you remember Xiaomi has also targeted this range and was launched, a model named Redmi 6A. Xiaomi has set the price as Rs 5,999. Honor 7S will be competing with the Redmi 6A. As the majority of Indian customers can’t afford a high-end phone in high price, Honor has target the right range. Let’s see things related to Honor 7S like Honor 7S features, Honor 7S specification, Honor 7S price etc. As there is a hype in the market that this is the best budget smartphone, so let’s see what are the features of Honor 7S. Honor is always on the front line for its attractive body design. This model is also standing still. The dimension of the phone is 146.5 x 70.9 x 8.3 mm (5.77 x 2.79 x 0.33 in). It has dedicated sim slot and memory card slot. No need to worry about one hybrid slot. You can place two SIM and one memory card simultaneously. It is present in the left side of the phone. The front side of the phone comes with 18:9 screen. In the top of the screen, there is a front camera and a LED flash. The power lock and unlock button and volume key is present in the right side of the phone. On the top there is nothing special to describe but a secondary mic for noise cancelations is present. The bottom part of the Phone houses with USB-C port, 3.5mm audio jack, speaker grille, and primary microphone. The antennas bands run along the top and bottom edges of the Honor 7S, which blends perfectly with the color of the device. On the back, there is the setup of the camera. Which is horizontally placed at the top left corner of the device. And a single-LED flash placed in the side of the rear camera setup. There is no fingerprint sensor in this phone. Display of Honor 7S embedded with nice and vibrant vivid colors with different contrast levels. The screen size is 13.8cm combined with a 1440×720 resolution. Honor 7S provide a taller 18:9 aspect ratio. In this phone, you can now enjoy a theatre like an experience on your large (13.8cm) phone screen. The screen comes with 295 PPI density. Honor 7S is equipped with a 13MP rear camera. It comes with a fast focusing PDAF technology that helps you capture sharp and crisp photos. With autofocus and LED flash, it gives you the picture-perfect photos even in low-light conditions. The performance of the camera is quite good as compared to price. The Front 5MP camera comes paired with a smart LED selfie-light. It acts intelligently and adjusts to different light conditions. As a result, you can take a glorious selfie. The coolest part of this phone is it comes with face unlock technology. Smart Face Unlock technology enables you to unlock your phone with just a glance. Honor 7S includes sensors like proximity sensor, Accelerometer. As the phone is low range phone it is a fool to expect so much from this phone. However, Honor 7S comes with MediaTek MT6739 1.5GHz Quad-Core processor. The GPU of this phone is PowerVR GE8100. One can get a standard output with this processor. It is not made for high-end activity. Honor 7S runs on top of Android Oreo v8.1 and latest EMUI 8.0 user interface. The interface is quite similar to the previous smartphones from Honor. But you may get some to improve the performance of the phone. There are also some advanced features. The phone will automatically adjust to low light. So that your eyes never tire while you use your phone. Honor 7S has 3020mah battery. There is a Smart Battery Management 6.0 technology. It optimizes the foreground app performance and reduces power consumption in the running background applications. Honor 7S comes with 16 GB internal storage and 2 GB RAM. A little bit worry for the storage? Don’t worry. You can put up to 256 GB microSD card in the dedicated memory card slot. This low-budget phone will available in India on September 14. It is available in one model of 2 GB RAM + 16 GB internal storage. It will go live sale on 14th September on the official website of Honor. Here comes the main part of our discussion. What is the price of this phone? Well, the price of Honor 7S is Rs 6,999 only. Honor 7S comes in three different colors black, blue and gold.